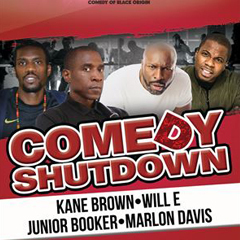 Join Will E, Junior Booker, Marlon Davis & Kane Brown for an evening of laughter. .
Age: 16 and over only.